Spring is finally here! And that means it’s time to get your asphalt serviced. Schedule an appointment for driveway seal coating, road repair, or parking lot striping in Milwaukee, WI – contact us. There’s no better choice than Asphalt Contractors Inc. when you need asphalt and concrete services in Milwaukee County. With 40 years of experience behind our work – your satisfaction is guaranteed! Asphalt Contractors Inc. is a leading source for asphalt paving services in SE Wisconsin, including Milwaukee County. You can trust our team to deliver longer lasting results and a better experience on residential and commercial paving jobs. We’d love to be your asphalt contractor – below are the reasons you should make us your first call when you need paving, asphalt maintenance, or custom crushing services in Milwaukee, Wisconsin! ACI has been a prominent leader in Wisconsin’s asphalt industry for nearly 40 years. When you’re looking for a custom crushing business in Milwaukee, make Asphalt Contractors Inc. your first call. Asphalt Contractors Inc. serves Milwaukee County businesses and homeowners with the highest quality asphalt and concrete services in SE Wisconsin. We take pride in installing pavements that last; and provide repair and maintenance as needed to maximize your investment. If you’re shopping for an asphalt or concrete contractor in the Milwaukee area, give Asphalt Contractors Inc. a call for a free estimate and to discuss why we’re the best choice for the job. Providing the same level of care and quality on every project our contractors work – commercial or residential, big or small – we’re confident you’ll be 100% satisfied with the results. Nearly 40 years as an industry leader has taught us the value of good work, and we can’t wait to share our incredible services with you. Asphalt Services – We Do it All! When it comes to asphalt, there’s nothing we can’t do! We’ve taken control of the entire process to assure the best results possible and the lowest costs to our clients. 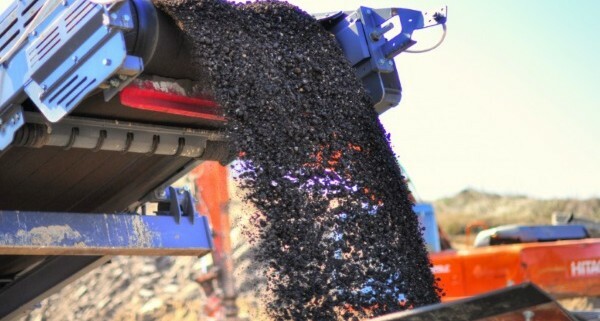 Our milling and pulverizing service allows us to recycle old pavement into new. Our manufacturing plant also makes sure we’re always well stocked with the best asphalt products. Both services give us the chance to make our work more environmentally friendly. 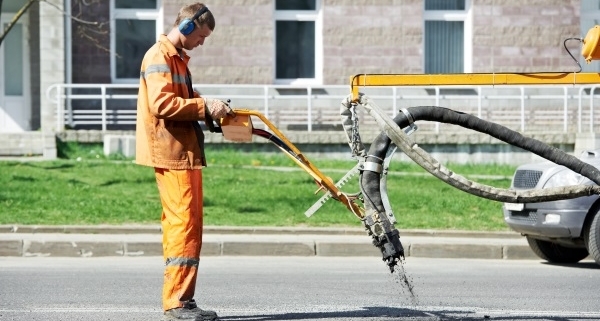 It’s likely you’ll utilize our asphalt paving and maintenance services most often. From paving your new asphalt driveway to maintaining your parking lot with seal coating, crack repair, and pothole patching services; our asphalt contractors keep your pavement looking and functioning at its best. While we specialize in asphalt services, our concrete work is also exceptional. We take the time to properly plan your concrete installation and our contractors’ impeccable skills will be evident in the final results – a smooth, even surface that will last. Make Asphalt Contractors Inc. your first choice for asphalt and concrete services in SE Wisconsin. Contact Asphalt Contractors Inc. for a free estimate on your next asphalt or concrete project.